Here's a key safe or key holder that may appeal to the Cocker Spaniel enthusiasts. 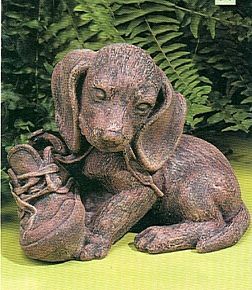 Our puppy key safe also translates for use as a statue and is suitable for garden use. Made of resin with marble aggregates. Dimension:7.5" x 6" x 8"